Relaxing shouldn’t be taxing! If you’re a workaholic, you’re probably long overdue a break. Holidays can help reduce stress and boost your professional performance. 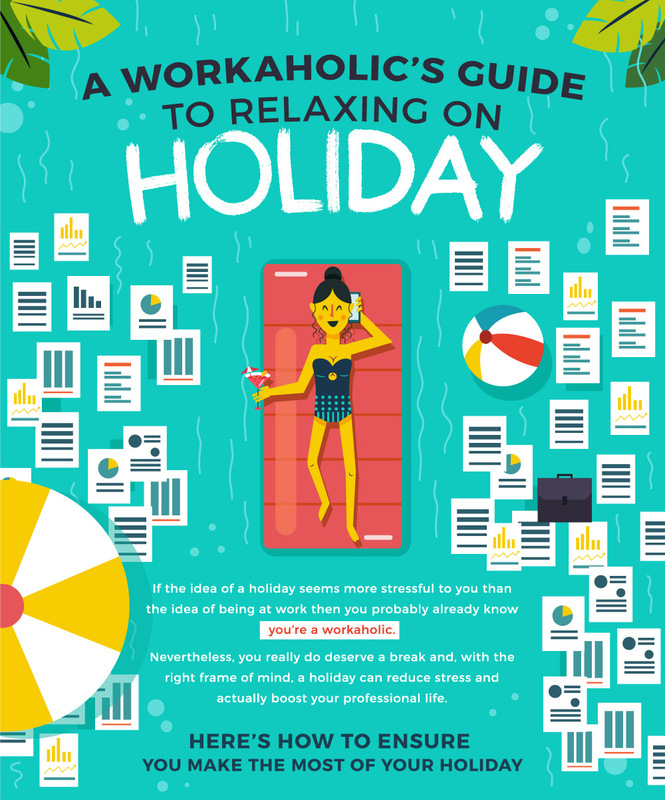 We’ve put together a few tips to help even the most committed workaholics have a relaxing holiday. 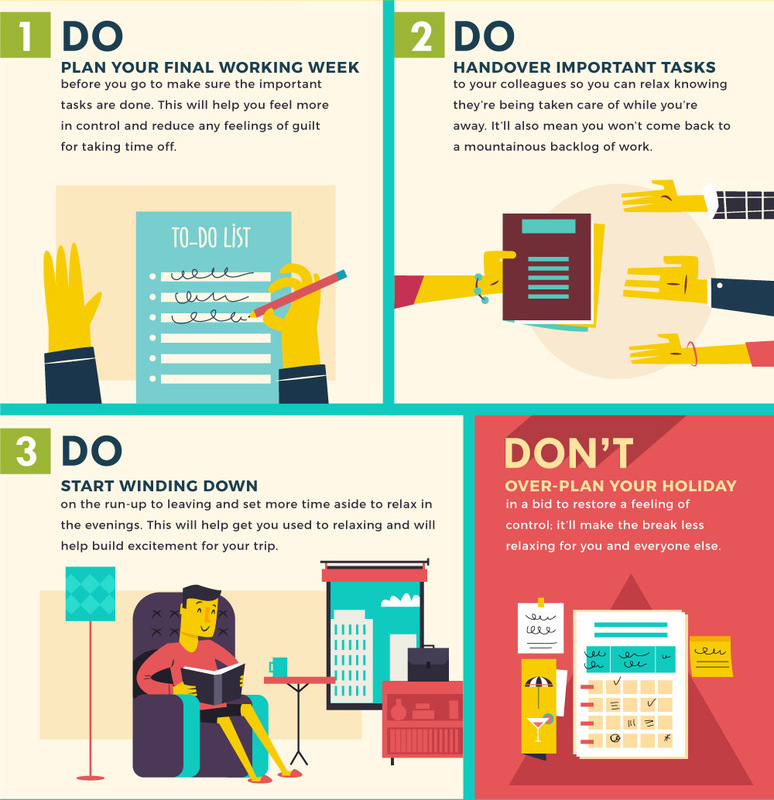 Plan our your final working week to make sure the important tasks are all completed in time. Handover important tasks to your colleagues well in advance and start winding down your workload on the run-up to leaving. It’s also a good idea to set some time aside to relax in the evening. While it’s tempting to plan your holiday down to the minutest detail, try to avoid this at all costs; it will make the break less relaxing for you and everyone else. Have a cursory scan of your emails but don’t overdo it – you may unwittingly move from peace-of-mind territory back into the land of work. Get stuck into activities you find enjoyable to keep your mind occupied and stay off your smartphone as much as you can. 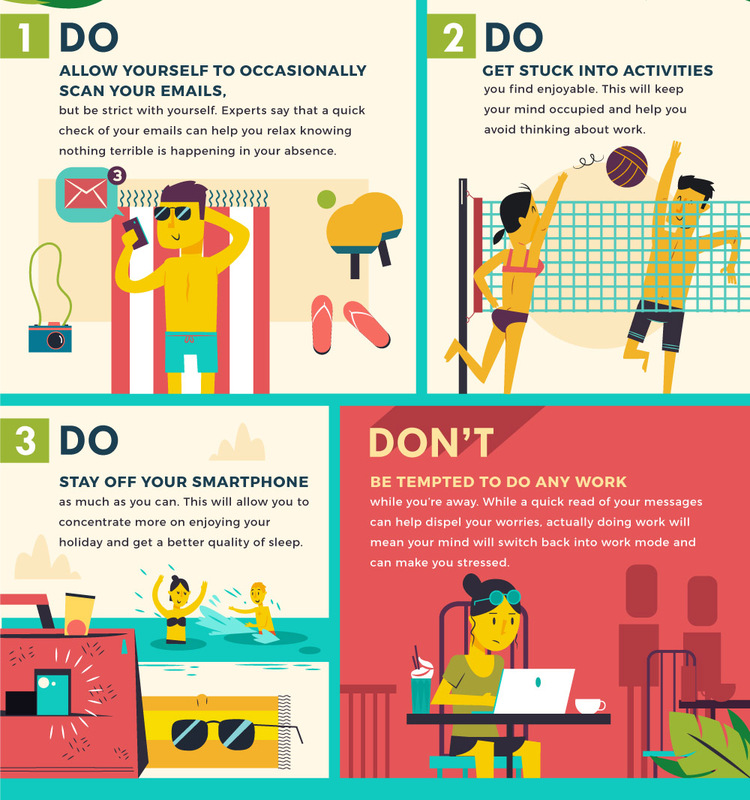 Don’t be tempted to do any work while you’re away! 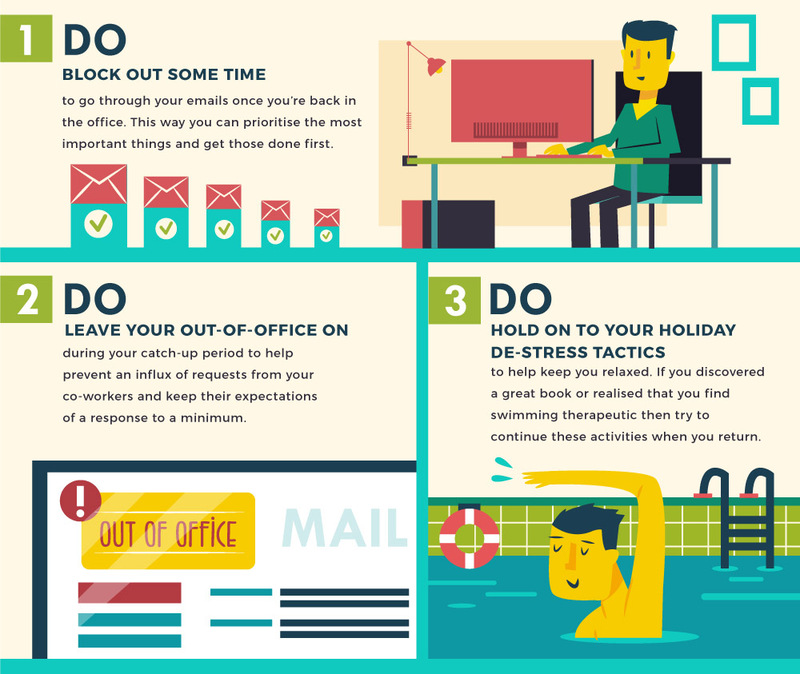 Block out some time to go through your emails to help you prioritise important tasks. It’s also a good idea to leave your out-of-office message on to prevent an influx of requests from co-workers and try out a few de-stress tactics to help keep you relaxed. If swimming or reading a book helped you to unwind on holiday, try to continue these activities when you return. At all costs, avoid working late to make up for your time away, which can lead to burn-out and introduce bad habits. A great holiday can give you a new lease of life, offering new perspectives and the time to truly indulge in yourself. It can also do wonders for your professional life; you’ll return with a refreshed, healthier state of mind which can actually help boost your productivity and the quality of your work. 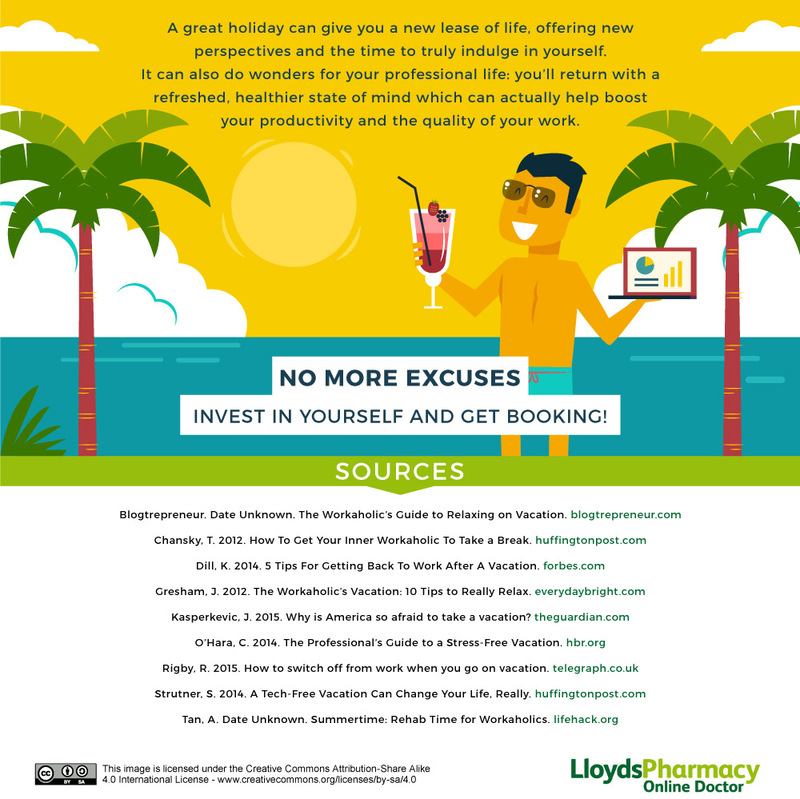 No more excuses – invest in yourself and get booking! Is ED a Natural Part of Ageing?Is Coffee Bad For You?